​​-Would you like to learn a skill together with your partner that you can enjoy socially at your friends', family and work events? -Are you looking for something to spice up your relationship and add more flavour during the gloomiest British weather days? 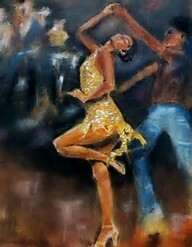 Then let us help you to learn to dance a Social Latin dance!! Divina and her team can teach you the most uplifting dance of all! 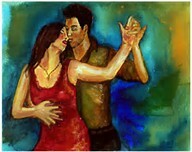 Salsa and all that comes with it (Bachata, Merengue, Reggaeton and Kizomba). If you answer Yes to any of the following questions then give us a call and we shall be happy to help you. We offer a friendly, relaxed, informal but professional environment where you can feel at ease while you are learning. We are experienced and qualified Latin Dance teachers based in Stratford London. SAVE on the hourly rate when you book a Package!!! And you also get a Free 2 hours session when you book the Gold or the Diamond Packs!!! Prices are per Couple and include studio fees! Save £42 on the One-Off hourly rate!! ​ Save £108 on the One-Off hourly rate!! ​ Save £160 on the One-Off hourly rate! !